THC Helped Mice Engineered To Mimic Humans With Alzheimer's : Shots - Health News In mice genetically programmed to develop Alzheimer's symptoms, those given a synthetic version of a chemical in marijuana retained normal memory function. Researchers say it's too soon to say if marijuana could help humans with Alzheimer's, but experiments in mice showed some effects. In mice that had been genetically tweaked to develop symptoms like those of Alzheimer's, animals that received a synthetic form of tetrahydrocannabinol for six weeks performed as well as healthy mice on a memory test, scientists reported Tuesday at the Society for Neuroscience meeting in San Diego. Meanwhile, mice given a placebo instead of THC lost the ability to remember where to find the shallow spot in a pool of water. The treated mice also lost fewer brain cells and their brains contained 20 percent less of the sticky plaques associated with Alzheimer's, said researcher Yvonne Bouter of the University Medical Center Goettingen in Goettingen, Germany. Bouter presented the results, which haven't been published in a peer-reviewed journal, at a press conference. The findings suggest that "cannabis could be beneficial for Alzheimer's disease," Bouter said. But even if that's true, she said, it doesn't mean the growing number of healthy older people who smoke pot should celebrate by lighting up. "We did this same experiment in healthy mice," she said, "and they had problems learning." "Should you give Grandpa THC? You should probably be cautious," said Michael Taffe of the Scripps Research Institute, who moderated the press conference. "You could have something that is detrimental, if this does not translate to humans, or the person did not have the disorder." Other researchers at the press conference provided more reason for caution. They presented rodent studies showing that exposure to THCin the womb, in adolescence and even in healthy adult brains tends to impair memory and thinking. So wouldn't the best way to answer the questions be studies in people? The researchers said they are unaware of any ongoing studies of how the compounds in marijuana effect people with Alzheimer's. 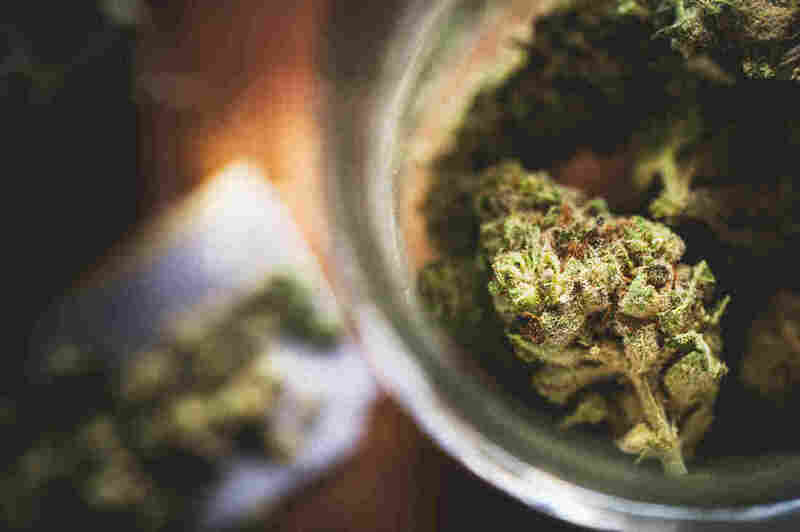 "There are just no venues to do it," said Jamie Roitman, an associate professor of psychology at the University of Illinois at Chicago, who presented a study about cannabis use in adolescent rats. Getting approval for any study involving people and compounds related to marijuana is "very difficult," she said, despite the fact that the drug is now legal in many states. When it comes to understanding the effects of marijuana on humans, Roitman said, "the experience is way outpacing the science."